Liverpool John Moores University is one of Merseyside's best universities with over 50000 students and 2500 staff members. The origin of the University can be traced back as early as 1823 and today it is one of the largest Universities in UK. The University has many campus grounds and all are based in and around the city. This enables easy access either by walk or public transport. The University has 15 schools - Liverpool Art School, Biological & Earth Sciences, Biomolecular Sciences, Built Environment, Liverpool Business School, Computing & Mathematical Sciences, Education & Community Studies, Engineering, Health, Human Sciences, Law & Applied Social Studies, Media, Critical and Creative Arts, Modern Languages, Pharmacy and Chemistry, Social Science. 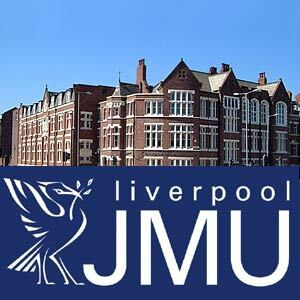 The Liverpool John Moores University offers academic programmes at all levels from pre-degree to postgraduate level. This innovative university has vocationally oriented programmes that serve more than just the local population. Hardship awards and scholarships to reward achievement are being considered to reduce the dropout rate. The University has over 600 research-active staff working in each school and contributing to the development of learning and teaching. JMU's partner colleges include Dublin Business School, the Liverpool Institute for Performing Arts, Liverpool Community College, Southport College and St Helens College. The areas of sports science and astronomy at the Liverpool John Moores University are noted for their international excellence. Courses in navigation and marine technology are also on the anvil. One of the only universities to offer a company-based degree course, this Liverpool University conducts a course at Jaguar Cars. This course is accredited by the Institute of Electrical Engineers.